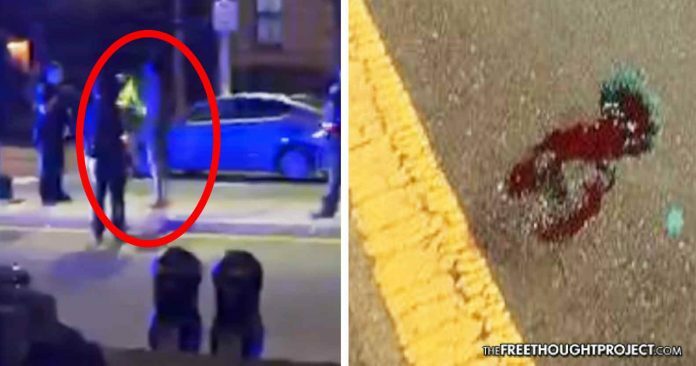 Graphic footage was published showing the brutal beating of a naked Harvard student in the middle of a mental health emergency. Cambridge, MA — News of a Harvard student getting caught up in a police beating garnered headlines last week as it shows how police violence crosses all socioeconomic barriers and can even affect the affluent. This week, the dramatic video footage of the student, identified as Selorm Ohene, was released showing the arrest in its graphic detail. The Cambridge Police Department is now the subject of public criticism as the video shows police pin down Ohene and repeatedly punch him over and over as he screams. The punches were so disturbing that onlookers—many of whom had out their phones and were filming—began screaming at the officers to stop it. The incident took place on Friday around 10 p.m. as police responded to calls of a naked man in the middle of the street who was “acting completely irrational.” This naked man was 21-year-old Ohene who was clearly in the midst of a mental health emergency after he’d allegedly ingested some sort of mind altering drug. As the video shows, police have Ohene surrounded when one of them tackles the naked man sending him slamming into the pavement. He was surrounded by at least four Cambridge Police Department (CPD) officers who, without provocation, lunged at him, tackled him and pinned him to the ground. While on the ground, at least one officer repeatedly punched the student in his torso as he screamed for help. The officers held him to the ground until paramedics arrived, placed him on a stretcher, and put him in the ambulance. A pool of blood remained on the pavement as the ambulance departed. Shortly thereafter, firefighters came and cleaned up the blood with bleach and water. The pool of blood was documented by NBC 10 Boston in a disturbing image. 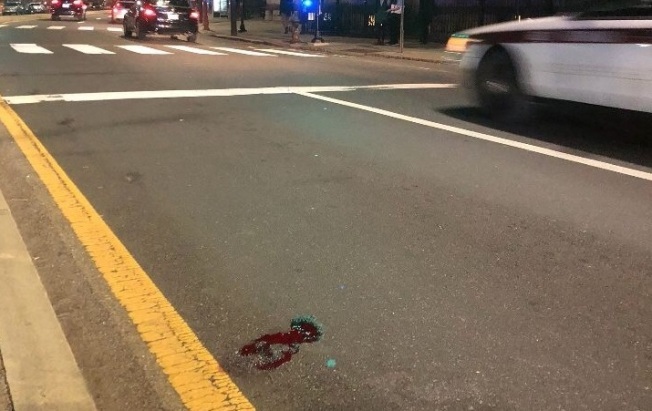 A photo provided to NBC10 Boston shows blood on the street after Cambridge Police officers punched a man multiple times during an arrest. The police department has defended the use of force. In spite of the backlash, police are defending the use of force by the group of four officers which was made up of three officers from the Cambridge Police Department and one from Transit Police. Ohene has since been charged with disorderly conduct, indecent exposure, resisting arrest and assault for the April 13th incident. Below is the video. Warning, its content may be disturbing to some viewers.